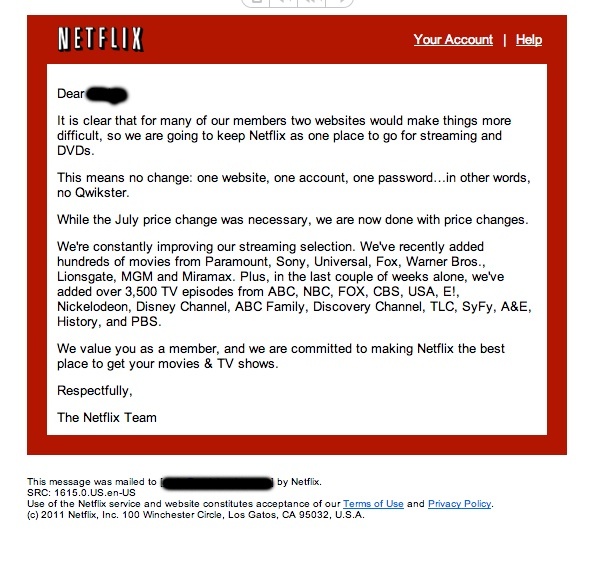 Qwikster No More - Netflix says Just kidding! Interesting.... So my guess is that Netflix got a lot of negative feedback about their decision to spinoff the DVD branch into qwikster. They would lose the brand recognition that they worked so hard to establish as a household name.